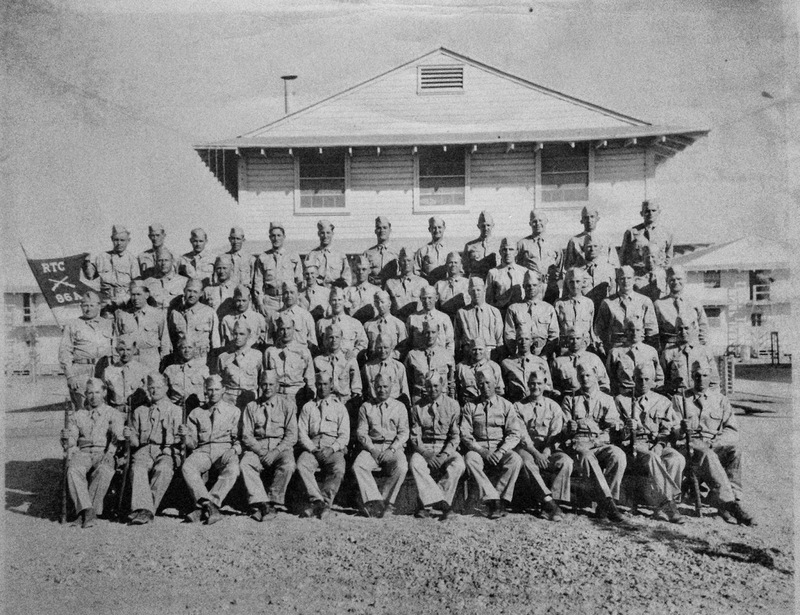 My friend Sue gave me this old photo on Saturday because she thought I might know some of the soldiers pictured and help return the photo to a family member - I didn't, but I thought that Far Side of Fifty could help. 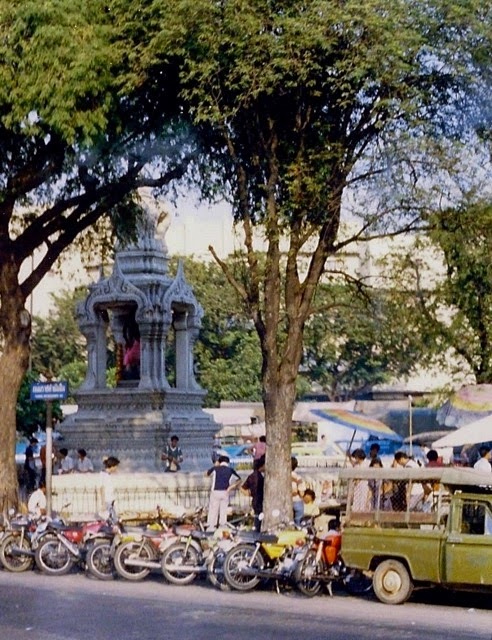 Far Side of Fifty has been successful in returning old photos to family members through her blog Forgotten Old Photographs. When Far Side returns the photos, they are considered a Full Circle: as of today there have been 116 Full Circle photographs. I'm hoping this group photo will become a Full Circle. The photo was featured on Forgotten Old Photograhs today as Photo 1912. Far Side also included all the names that were printed on the back of the photo. 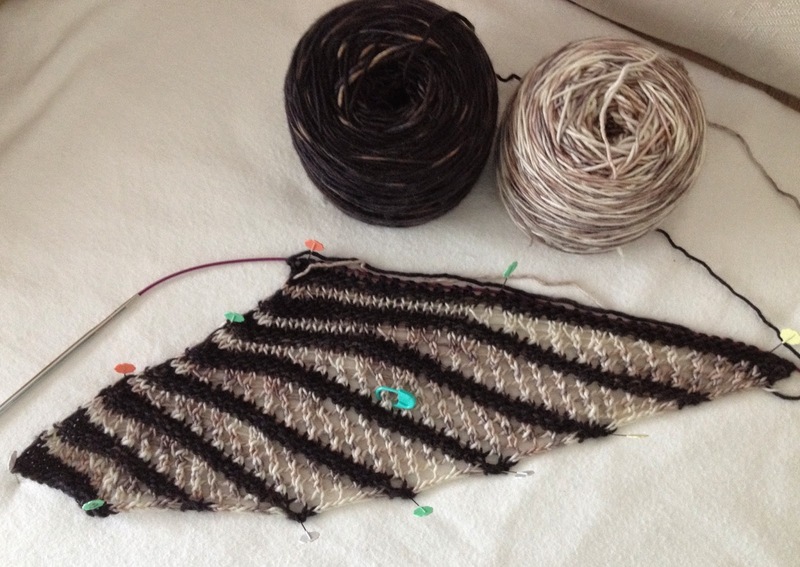 This shawl was on display at Sin City Knit Shop, and Brenda asked if I would knit it for her if she purchased the yarn. 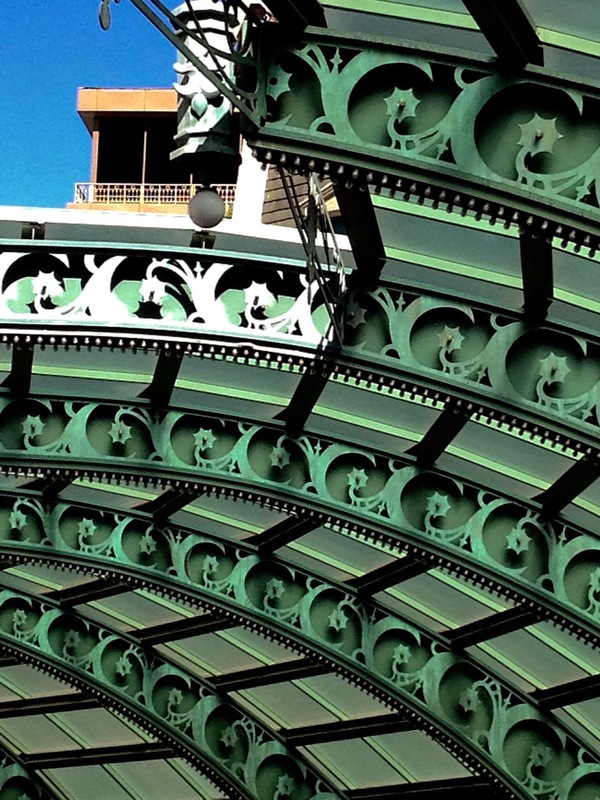 I am drawn to unique perspectives, shadows, and details and love to capture them in photos. This photo was snapped at the Paris Hotel taxi stand. 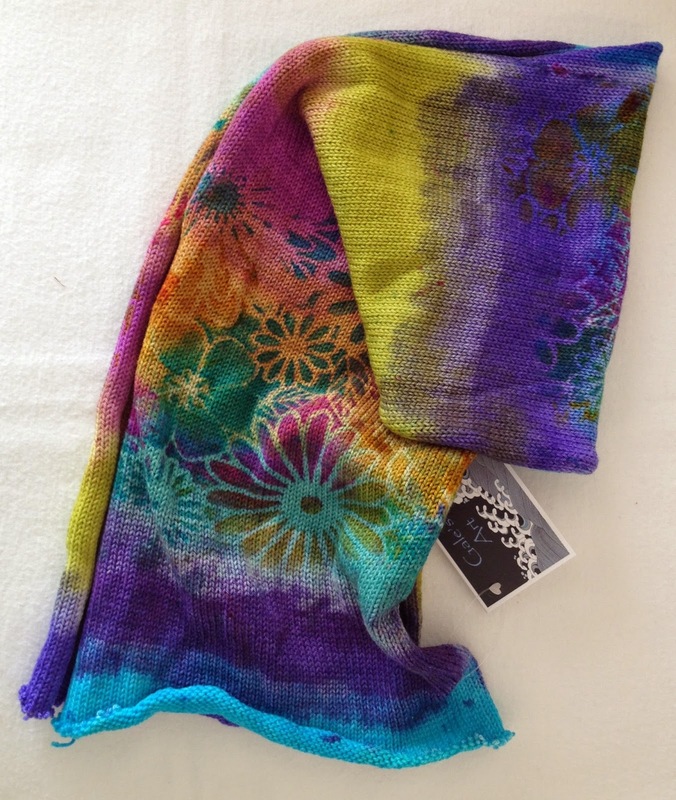 I'm a sucker for unique and pretty sock yarn, so when I read Susan B. Anderson's post about Gale's Art sock blanks, I immediately checked it out and made a purchase. Soon this gorgeous yarn is going to become socks. 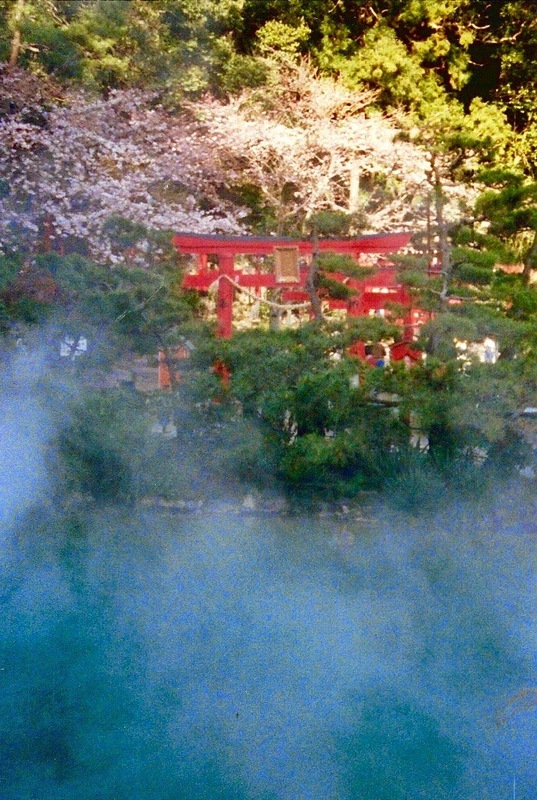 Japan has a lot of hot springs, so steam is as common as Torii gates on temple grounds. I'm making progress on the scrap sock yarn hats. 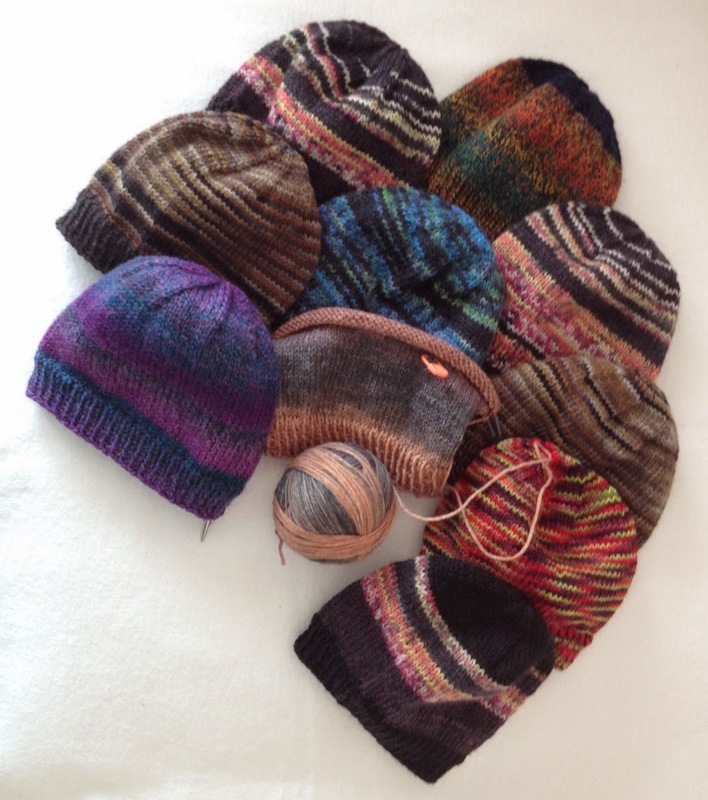 Two sets of needles accompanied me to Vegas last week, but most of these were knit before I left on the trip. Not much knitting was done in Vegas, but I did knit a bit on the flight home and at the Fiber Guild meeting on Saturday. 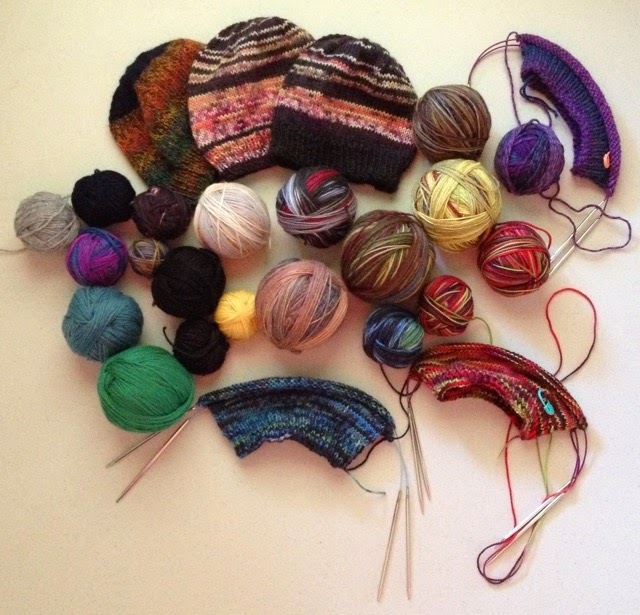 Compare the finished hats to the scrap yarn balls from this earlier post. Bonnie is challenging her readers to participate in a 15 minute Studio Spiff-up, and I am making progress. Thanks to her prompting, I have organized fabric, patterns, rulers, scraps, and strings. My "string bin" is now empty. 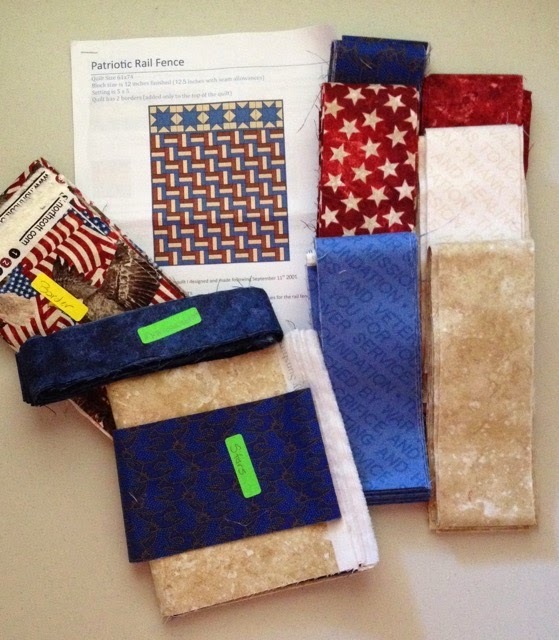 I don't have a specific plan for these string and strip sets, but they might become a border on a future Quilt of Valor. 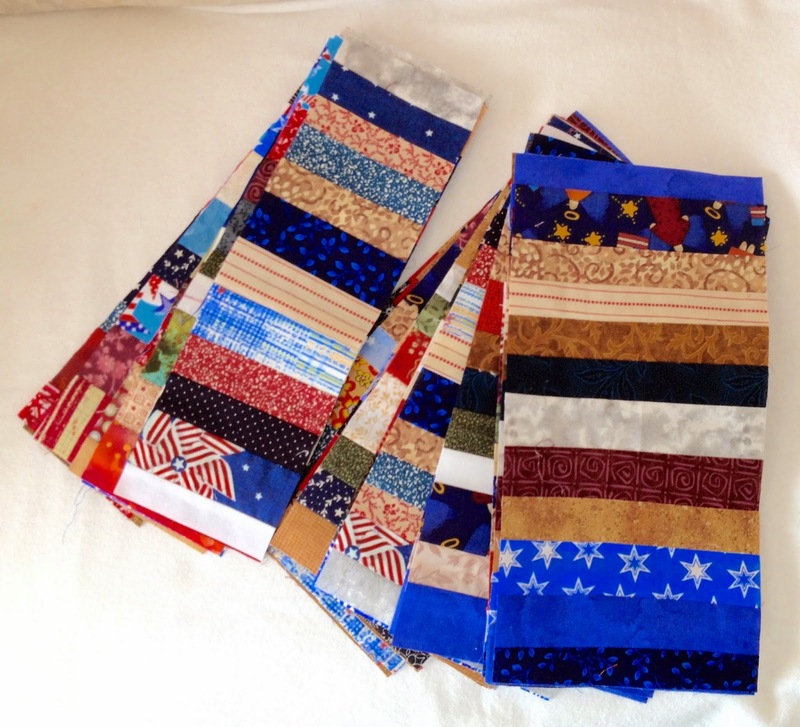 Note: information about strings and string quilts can be found here. Thanks, Bonnie for the motivation. I'm still working on finishing projects and using yarn from my stash. 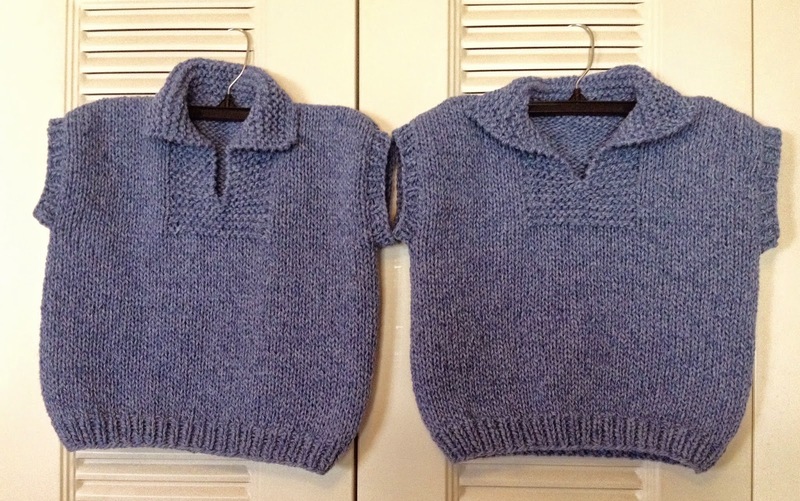 An earlier post gives the specifics of these vests that are going in the donation box. My sister, Marilyn had a milestone birthday last week, so we went to Las Vegas to celebrate. Cheryl, a knitting buddy, and I caught a flight from Casper, WY and met my sister Marilyn and her daughter Brenda from Denver at the Vegas airport. After some confusion about where to meet the Denverites (who arrived at Terminal 3), Cheryl and I (arriving at Terminal 1) caught a shuttle and found the baggage claim where Marilyn and Brenda were waiting. 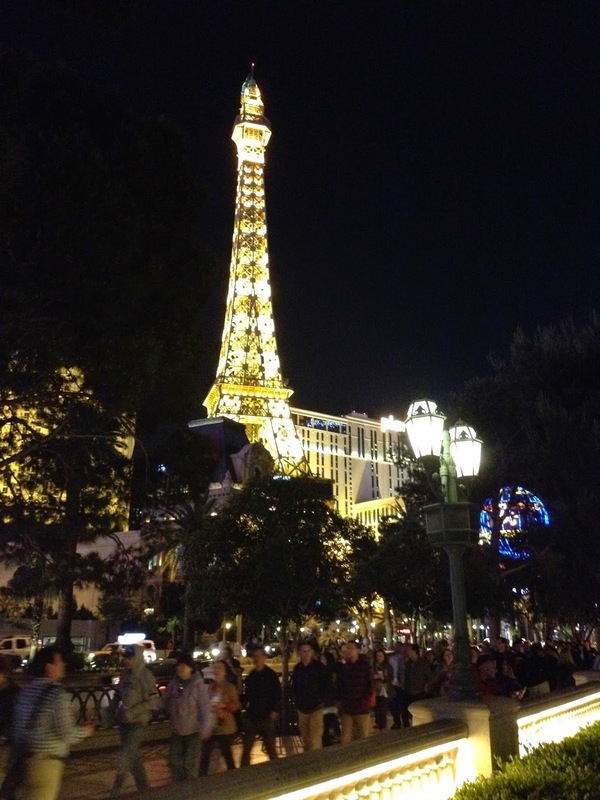 The days blurred into long walks up and down the Strip, sightseeing, and gambling. More on those activities in future posts. Of course, Cheryl and I had one other activity planned: a trip to a yarn shop that received raves on Yelp. 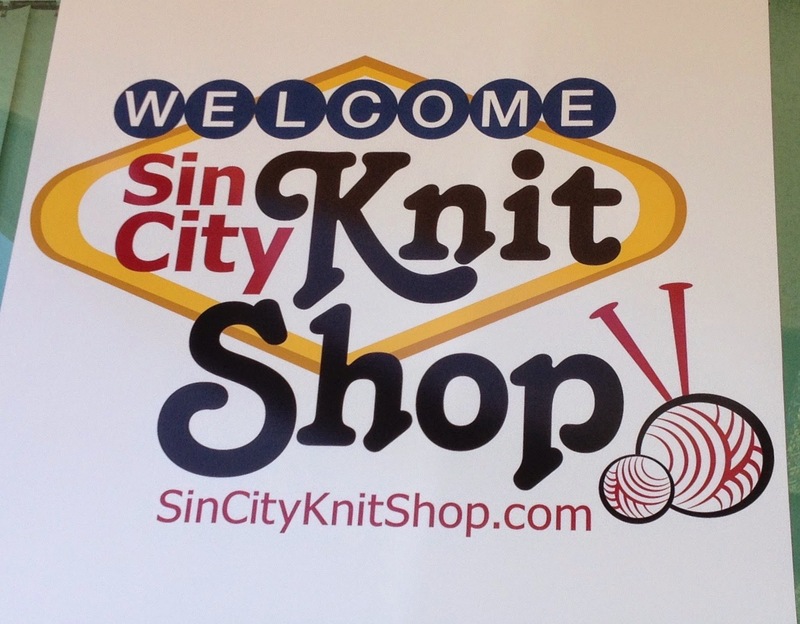 Sin City Knit Shop was about a 10 minute taxi ride from our hotel. 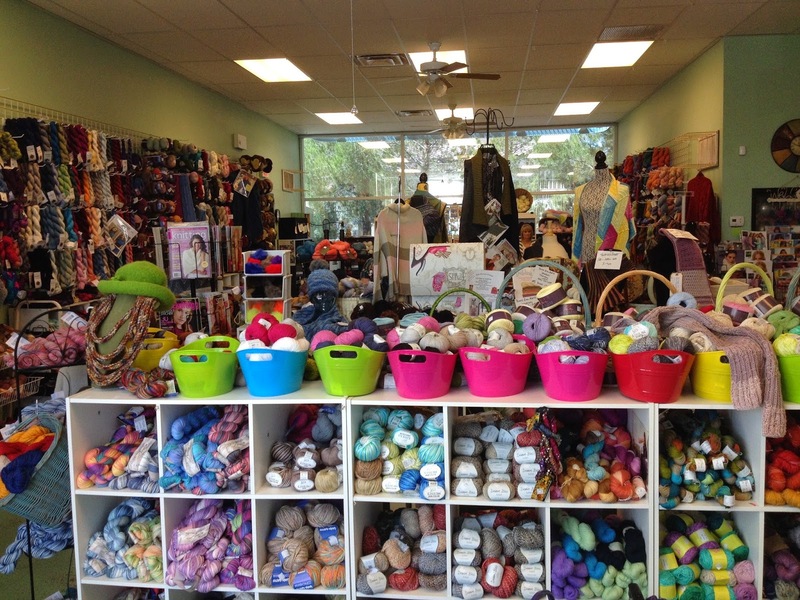 It is a friendly place, and the variety of yarn was impressive for the size of the shop. Greetings and smiles were given the minute we walked in the door, and at the ladies were very helpful finding specific items for us. Near the back of the store were large tables with several women knitting and chatting. While we were shopping, there was a steady flow of customers, and also some who wanted help with a project problem. By the time we left with our purchases, two hours had flown by. 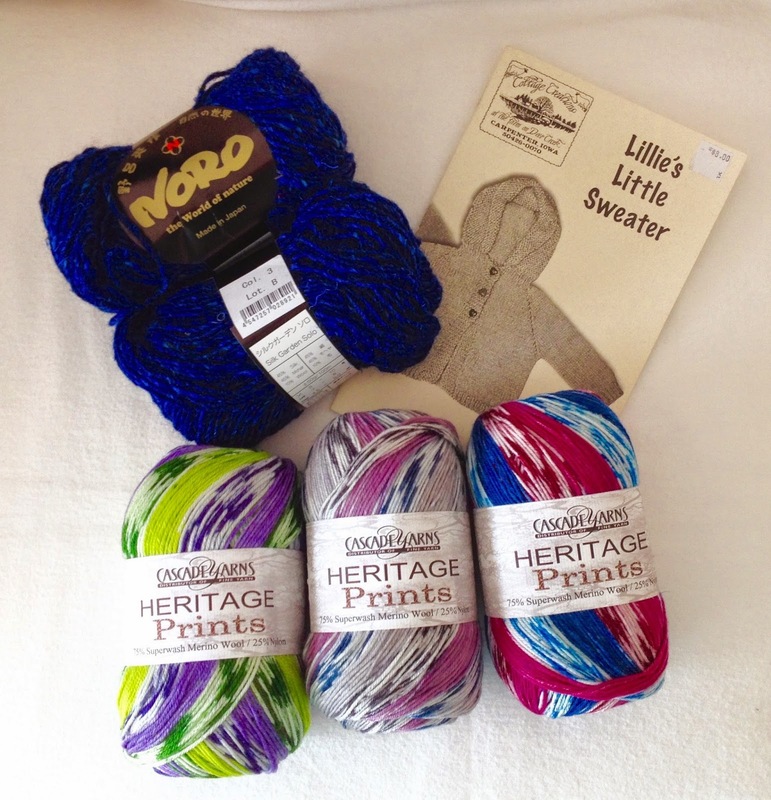 I purchased some great sock yarn (I know, I don't need sock yarn, but these colors were just too pretty to pass), a sweater pattern, and some luscious sapphire blue Noro Silk Garden. I've never seen Noro in solid colors, but this shop had pink, green, blue. Since I didn't have a lot of extra space in my suitcase on the way home, I had to limit my purchases. 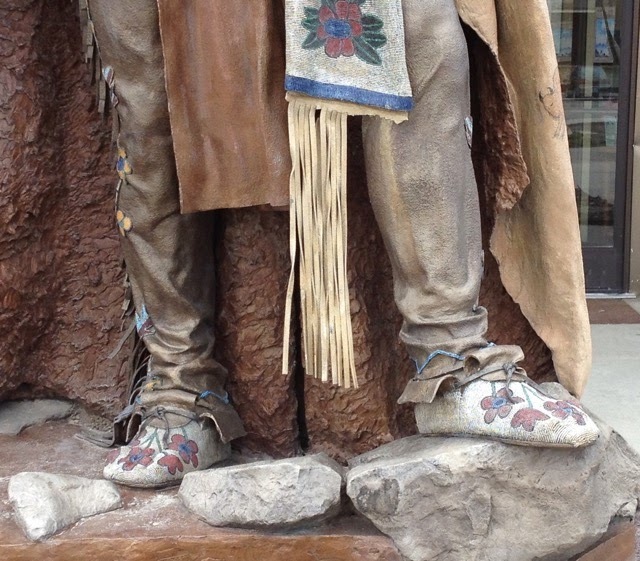 Across the street from the Fort Washakie post office is a full-size sculpture of Chief Washakie with many interesting details, for example, the beaded moccasins and belt. The rose is commonly seen in the beaded work of the Shoshone tribe. Information on the beading designs of various tribes can be found in this document from the Wyoming State Museum. Some Assembly Required. 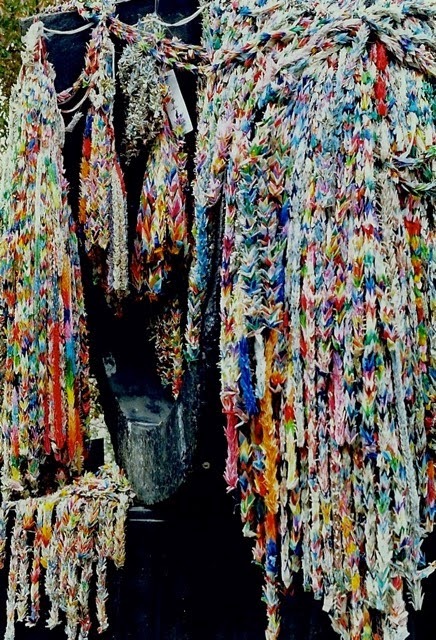 . .
—that’s poverty—but how efficiently we can put first things first. . . . 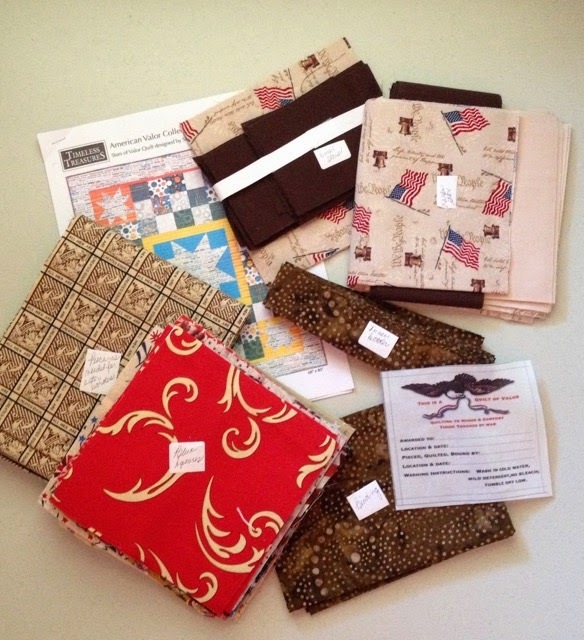 I have another Quilt of Valor in the works - #62. 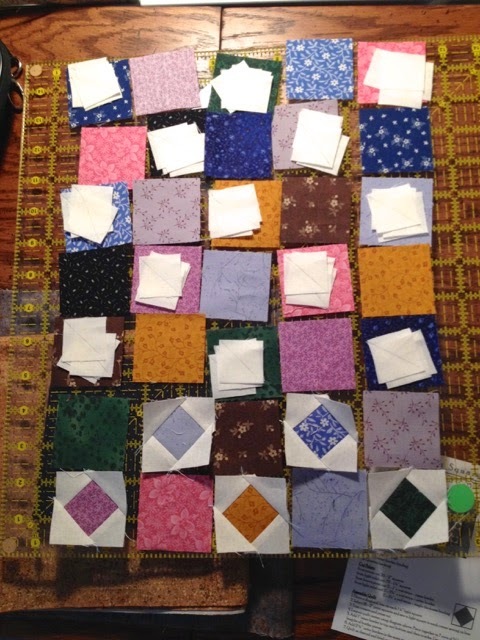 The blocks are ready to be sewn into rows. 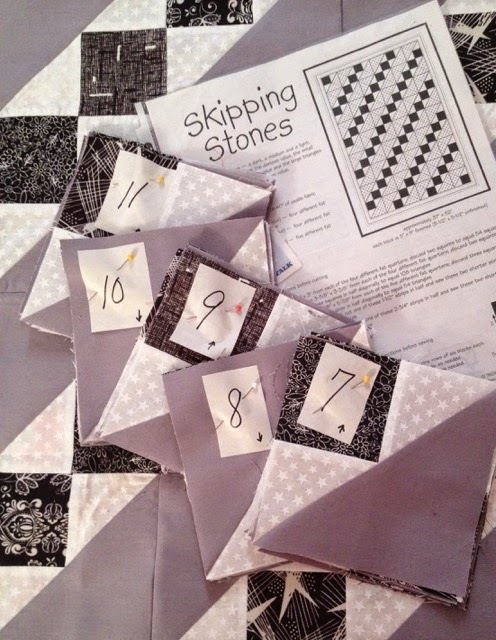 As you can see, the pattern is called Skipping Stones, but I haven't decided on a name for this quilt that will be almost entirely black, white, and gray with a pop of red. Any suggestions? 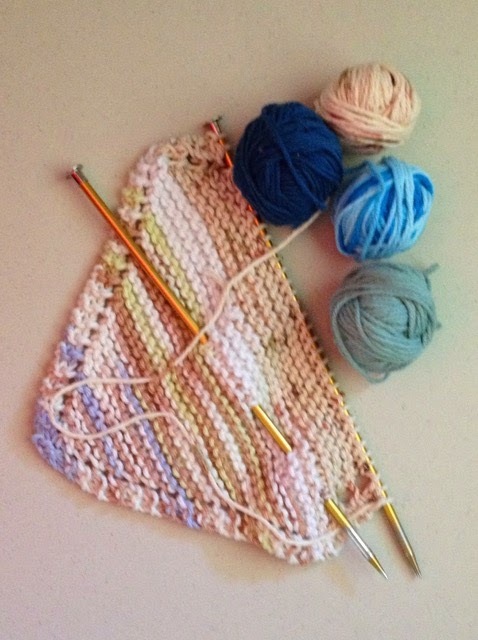 Sock yarn scraps are beginning to get the upper hand again, so it's time to knit some baby hats. Why do I have three sets of needles in the works? It's easier to sneak in some knitting time if a small project is within reach in the various places I end up during the day. 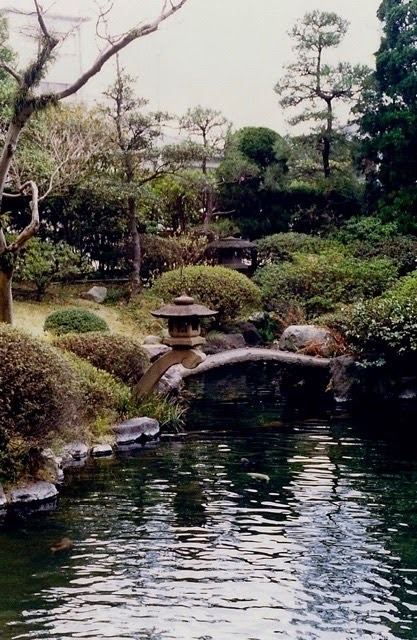 Do you keep several projects in the works or are you a one project at a time person? I always knew that yarn could develop an attitude. 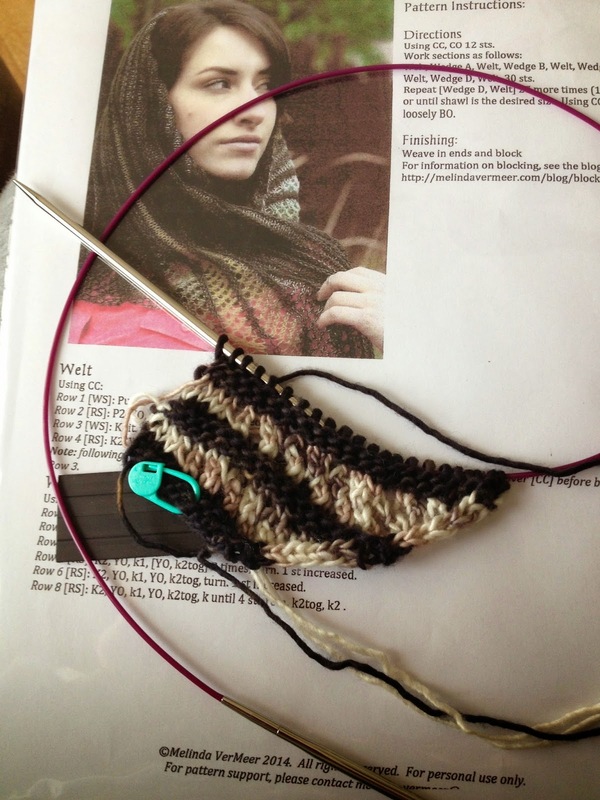 . .
Have you worked some surly yarn lately? Yes, the binding on this mini is being held in place by pins, but that will be remedied soon. For some reason this mini challenged me more than the others that I've made. 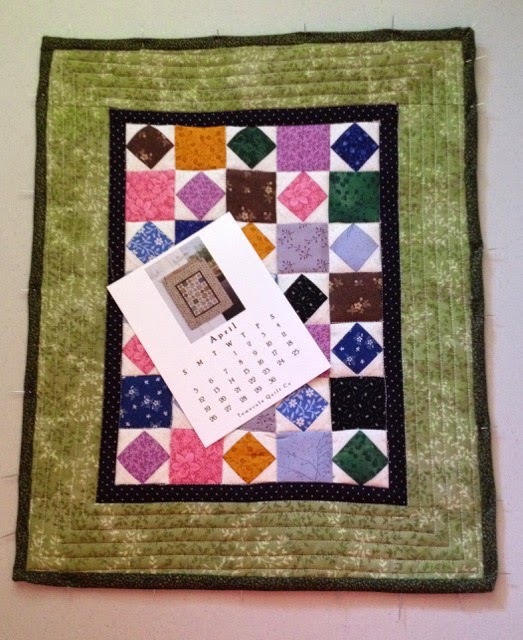 The white squares shown in this photo are 1 inch squares - that's tiny compared to the pieces I normally work with on the Quilts of Valor. Small pieces require near accuracy. 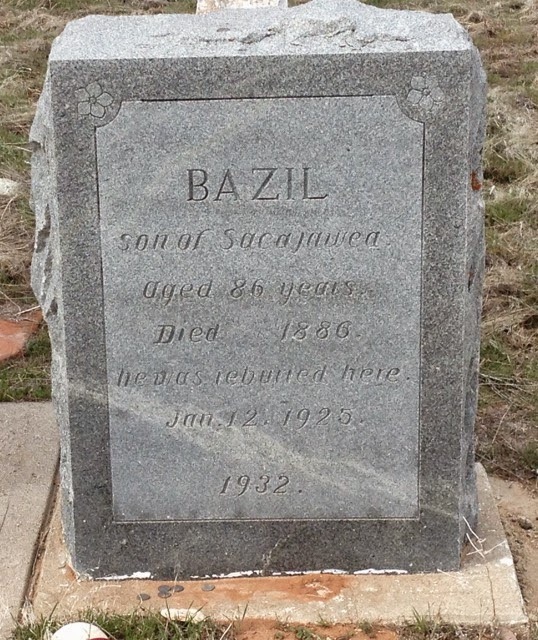 Several days ago, I shared some information about Chief Washakie, an Eastern Shoshone chief whose grave is located near Fort Washakie, WY. 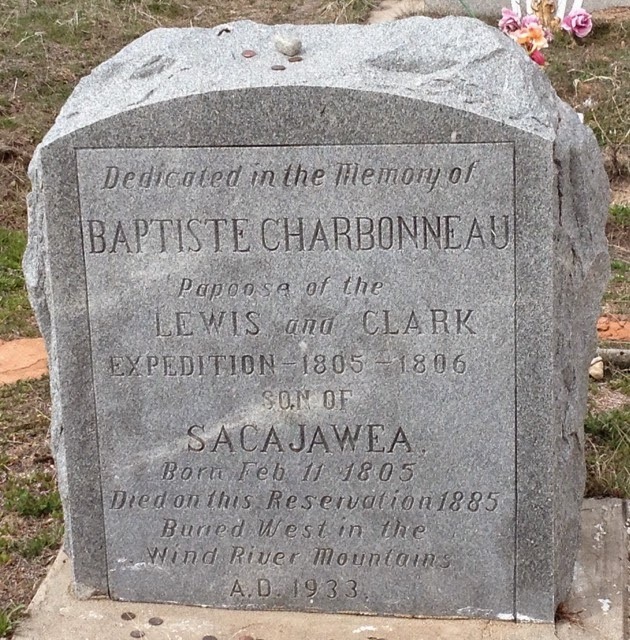 I returned to the area last week to locate the gravesite of Sacajawea, the young Shoshone woman who accompanied Lewis and Clark on their journey to the Pacific Ocean. 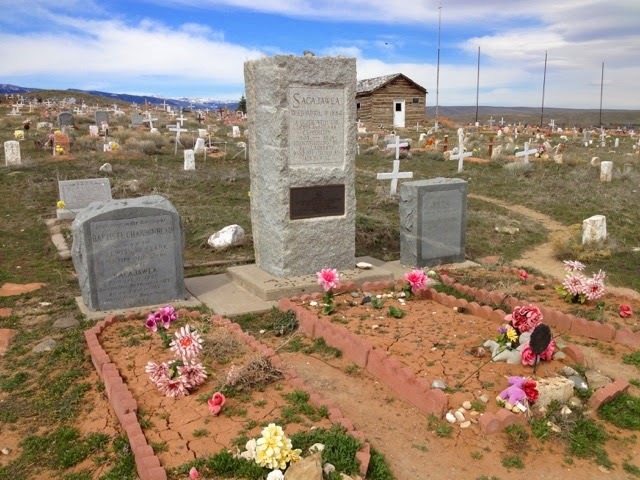 Controversy surrounds Sacajawea and her death, but I feel strongly that she is indeed buried in Wyoming for two reasons: her sons. 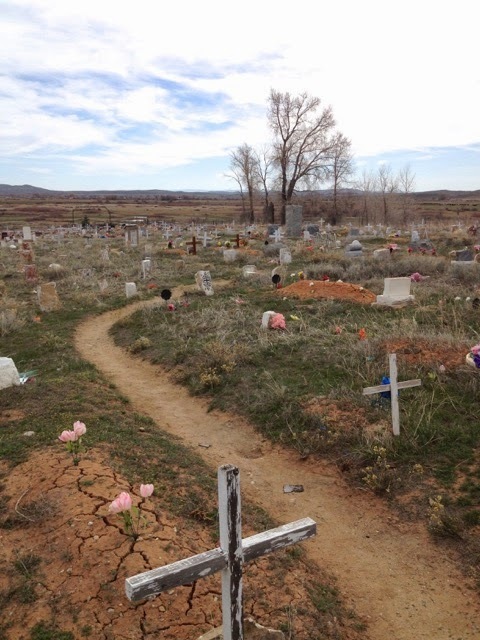 Their graves are adjacent to hers on this windswept hillside on the Wind River Indian Reservation where the Northern Arapaho and Eastern Shoshone tribes reside. 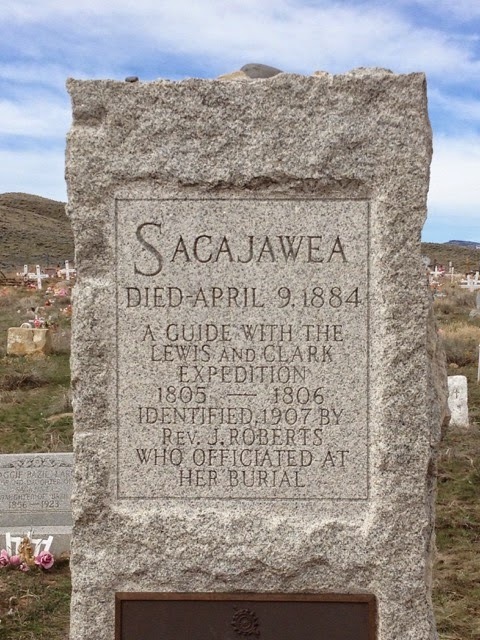 The mystery surrounding Sacajawea, her death, and her burial are what make history intriguing.